Osteoarthritis (OA) is caused by different factors, which include obesity, injury, and trauma. The most common cause of OA is age. Symptoms of OA may include stiffness and joint pain. The affected joint determines the type of treatment needed. The back, knee, hip, hand, and wrist are just a few joints involved with OA. The condition can be treated with medication and exercise. Obesity is a strain on the joints, and whether or not it’s the cause, it does aggravate joint pain. Therefore, losing weight is a must. The most prevalent form of arthritis is osteoarthritis in the United States. In American, OA affects around 70% of adults ages 55 to 78 years. Women are affected slightly more than men, and hip arthritis is the most common type of OA in the U.S. The incidence of symptomatic knee osteoarthritis is 1% per year, and the rate of radiographic progression is around 4% per year. Many years of carrying extra pounds can cause the cartilage that cushions joints to break down faster. Being overweight puts additional pressure on hips and knees and the hands. Studies suggest that excess fat tissue produces inflammatory chemicals (cytokines) that can damage the joints. Injury and overuse. 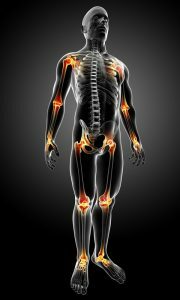 Repetitive movements or injuries to joints (such as a fracture, surgery, or ligament tears) can lead to osteoarthritis. Repetitive bending, heavy lifting. or other movements can also make cartilage wear away more quickly. Weakness of the muscles supporting a joint can also lead to altered movement and eventual cartilage breakdown in joints. Genes. Various genetic traits can make a person more likely to develop OA. One possibility is a rare defect in the body’s production of collagen, the protein that makes up cartilage. This abnormality can cause osteoarthritis to occur as early as age 20. Other factors may contribute to osteoarthritis. These factors include bone and joint disorders like rheumatoid arthritis, and certain metabolic disorders. Motion difficulty or stiffness that eases when moving. More pain in the evening or after lots of activity. Pain and popping or snapping sounds with a grating feel when moving the knee. Soreness or pain felt in the outer hip and groin area. Sometimes the pain is felt in the buttocks and down the middle or inside of the thigh and knee. The fingers can become painful, tender, swollen, and red at the edge of the joints which is called spurs. The thumb is affected as well. Pain and tenderness is felt in the large joint at the base of the big toe. There may be swelling in ankles or toes. Your doctor will closely examine your affected joint, checking for tenderness, swelling, or redness, as well as range of motion in the joint. He/she may also recommend imaging and laboratory tests such as x-ray, MRI, CT scans, antibody testing, and others. Corticosteroid injections – Depending on the severity of pain, the joint can be injected using a long-acting steroidal agent. PRP injections – Platelet-rich plasma involves taking platelets from the patient’s own blood, concentrating the solution in the laboratory, and injecting platelets into the damaged joint. 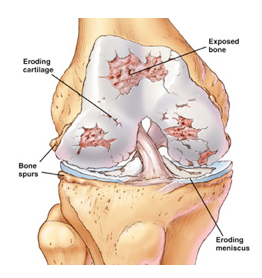 Joint replacement – For severely damaged joints, a complete joint replacement is done. This is surgery, and involves removing bone ends that are damaged, resurfacing certain components, and replacing the joint with prosthesis. 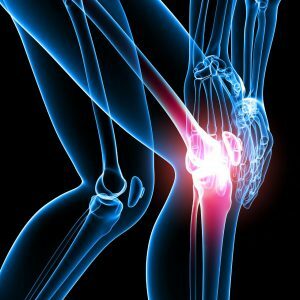 Dr. Ajay Yeddu offers the top nonoperative arthritis treatment in Gilbert AZ and the entire East Valley. Most insurance is accepted, call us today to obtain hip, knee and shoulder pain relief! Brooks P. Inflammation as an important feature of osteoarthritis. Bull World Health Organ. 2003, 81: 689-690. Felson DT, Zhang Y, Hannan MT, et al: The incidence and natural history of knee osteoarthritis in the elderly. The Framingham Osteoarthritis Study. Arthritis Rheum. 1995, 38: 1500-1505.